Like many shooters of my vintage, I grew up shooting wooden stocked rifles and therefore I will always have an deep appreciation for the stockmakers art and a beautiful piece of fine walnut. While appreciating and respecting tradition, I recognize that wooden stocks have their limitations – heat, cold and moisture can all contribute to warp – and so it was with open arms that I embraced the quality composite rifle stocks when they first made an appearance in the mid 1980’s or so. Today – on military, law enforcement and civilian rifles – stocks from companies such as McMillian, Manners, HS Precision and Bell and Carlson and others perform fine service and prove quite impervious to the elements. While the majority of the tactical bolt guns are still housed in traditionally shaped, composite stocks their dominance is being challenged by a rifle support system known as the rifle chassis. 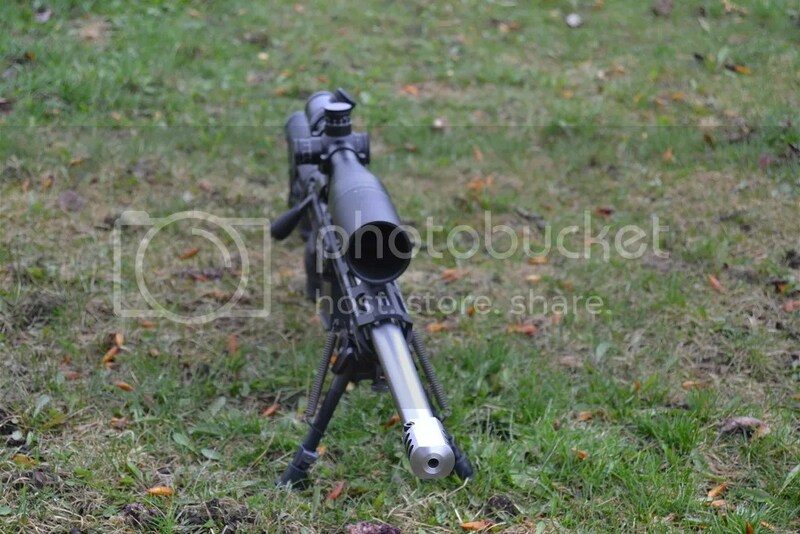 These chassis systems – usually made out of aluminum and with or without some composite cladding or skins – offer a number of advantages over the traditional shape of a rifle stock. Without necessarily agreeing with them all, some of the ‘advantages of chassis systems that are usually cited include: modularity, the ability to attach any number of optical and lighting systems, an easy cross-over from the AR/M4 platform, the availability of a collapsible/folding buttstock, weight reduction and the idea that bedding isn’t required. Detractors of the chassis systems usually point to some ‘wobble’ between stock and chassis body found in some early models, the lack of a ‘tactile’ feel and that, at least on some systems, the optics need to be mounted a bit higher than they would be on a rifle housed in a more traditional stock. While Canadians can get many of the chassis systems made by American and European companies, we are really fortunate to have a variety of high quality home-grown products available to us. While there may be others the three Canadian companies normally though of are: PGW from Manitoba, MDT from BC’s Lower Mainland and Quebec’s Cadex . 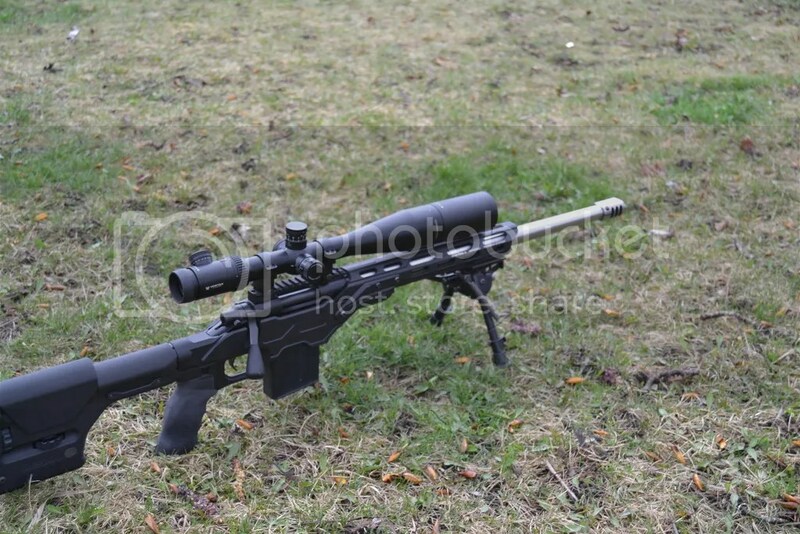 Each of these companies make a well-regarded rifle chassis – either as a stand alone item or as part of a wider sniper weapons system (SWS) – and each has a justifiably strong following amongst the shooting community. 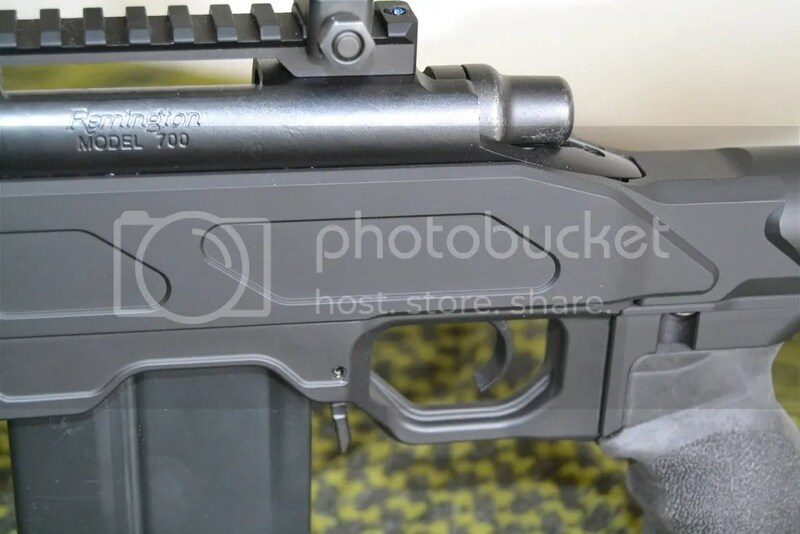 Readers of my reviews will know that I am the owner of several PGW rifles, that I’ve written a number of reviews about their products and at least one of those reviews focused on their folding stock chassis. People may also know that I was an early and enthusiastic supporter of Laslo’s MDT product and that I’ve owned and enjoyed a MDT Tac 21 for quite some time. What I wasn’t able to do until recently was examine and test any product from the third Canadian company – Cadex. 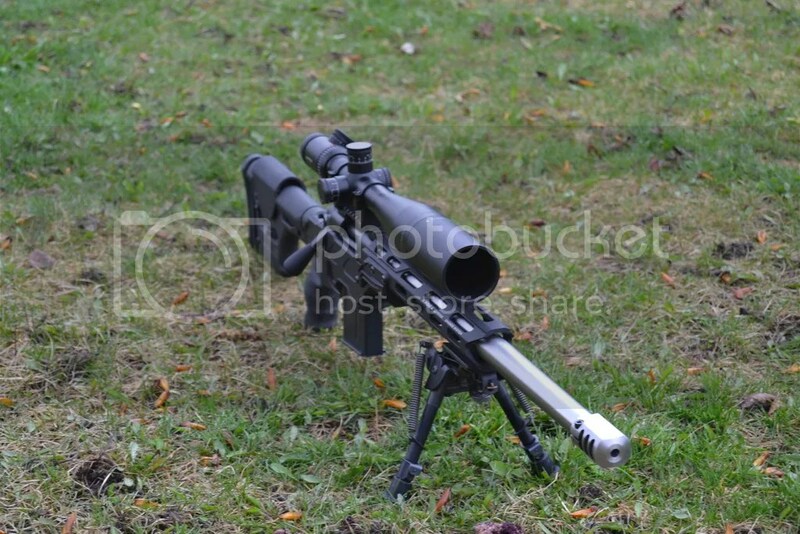 Since the time that I started writing reviews many companies and suppliers ( Wolverine, PGW, Hirsch Precision, Xtreme, Plainsight Solutions and M14.ca to name, and thank, just a few ) have been kind enough to loan me equipment to test and write about. Disappointingly, Cadex corporate policy meant I was unable to secure such an accommodation from them directly and a Cadex distributor I contacted simply refused to messages or emails. While a failure to borrow equipment was a bit of a setback it wasn’t an insurmountable obstacle; I really wanted to get my hands on one of their products for review and so I simply used the Cadex online store to buy one. I figured that the worst case would be that I wouldn’t like it and take a little but not a whole loss on resale. It is the chassis that I bought online from Cadex that is the subject of this review. So what did I choose to buy ? 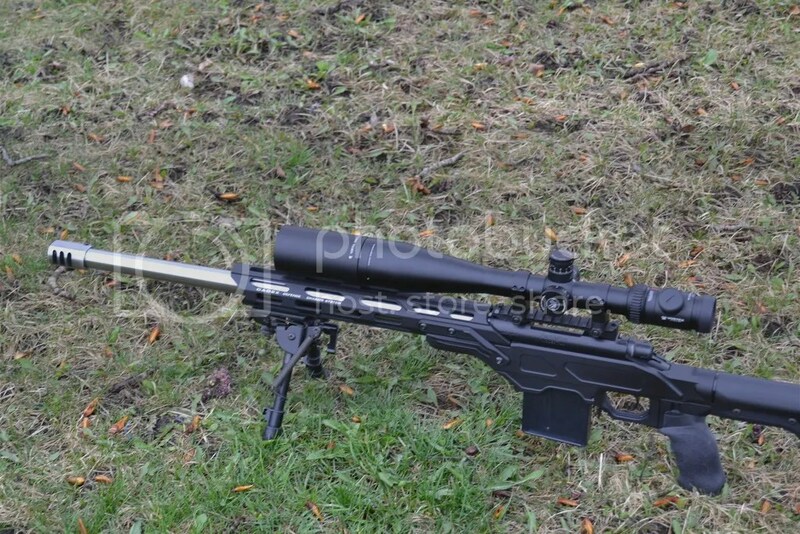 I chose to buy the Field OT and my reason for doing so was because, having used AICS, PGW, Dolphin and MDT Tac 21, I’d decided that I prefer to mount my optics directly onto a rail wholly attached to the receiver rather than onto a rail that is part of a chassis or a mix of receiver and chassis . This is a purely personal preference and not meant as a criticism of systems ( including others by Cadex ) that offer chassis-mounted optics. Price was also a consideration and the Field OT – priced in my hands after tax at just under $1200 – was at a price point that worked well for me; especially as I was buying a product I’d not handled or even seen before. 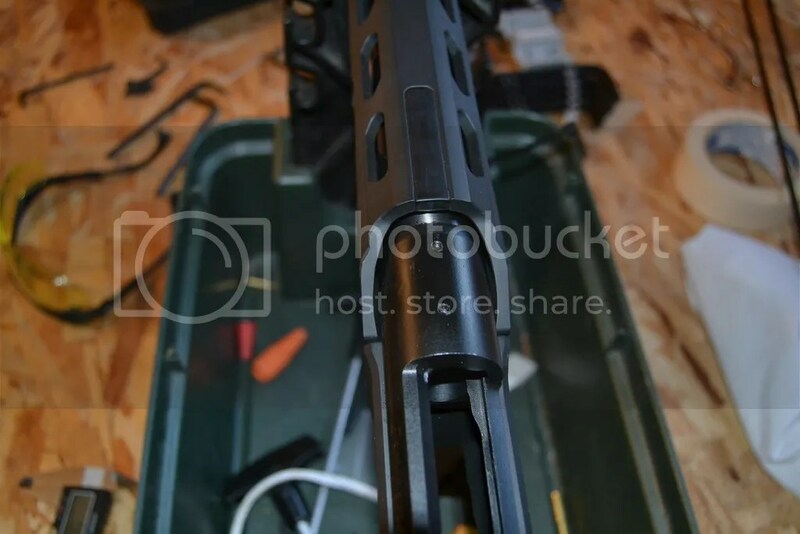 When I ordered this chassis I specified that I was going to be using a short action Remington but it is my understanding that other actions using the Remington footprint will also fit this particular chassis. Buying From Cadex Online – the buying process from Cadex is very simple, they have an excellent website that is easy to navigate and therefore it is easy to select and order the product you wish to buy. While websites can be great I’m sure that there are others who, like me, are comforted knowing that if necessary you can speak to a real person about their order and, as it happened, I did have an opportunity to speak with a Cadex staff member. I’d decided to change my initial order, called Cadex to do and the staff member (Marie) I spoke with was most helpful and provided excellent customer service in faultless English (I make mention of language as not all readers may know that Quebec is a French-speaking Canadian province and that language can sometimes be an issue). If any senior Cadex staff should read this, please go to this persons work station and tell her what a great ambassador for your company she is. Cadex advised that the product I wished to order had a 2-3 week wait time and I was again very pleased to find out that, unlike lots of other companies, Cadex do not charge credit cards until the item is available and ready to ship to a customer. 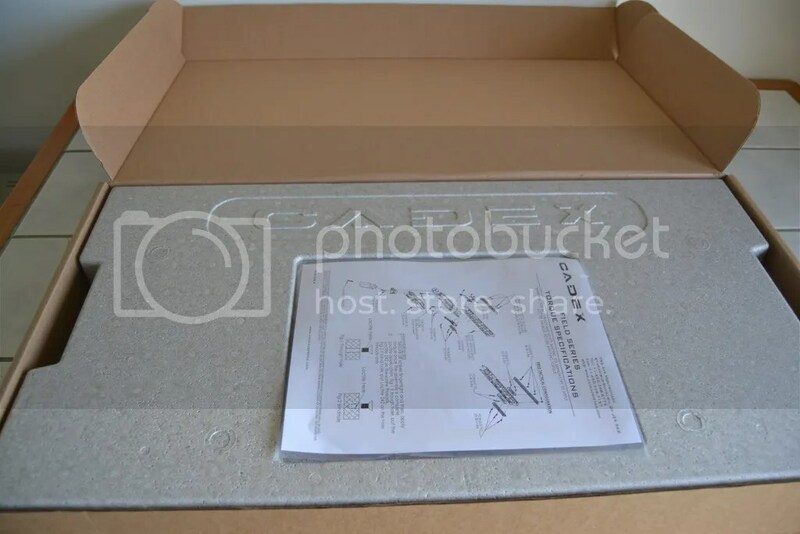 Shipping and Packaging -shipping took place within the 2-3 week time frame Cadex said it would take and they mailed the product in a very sturdy double-boxed package. As I’ve said when writing about other products, I do pay attention to how a company packages up their stuff as, invariably, it speaks to me about what a company thinks of its own products – I think of it as an issue of corporate pride in what they make. 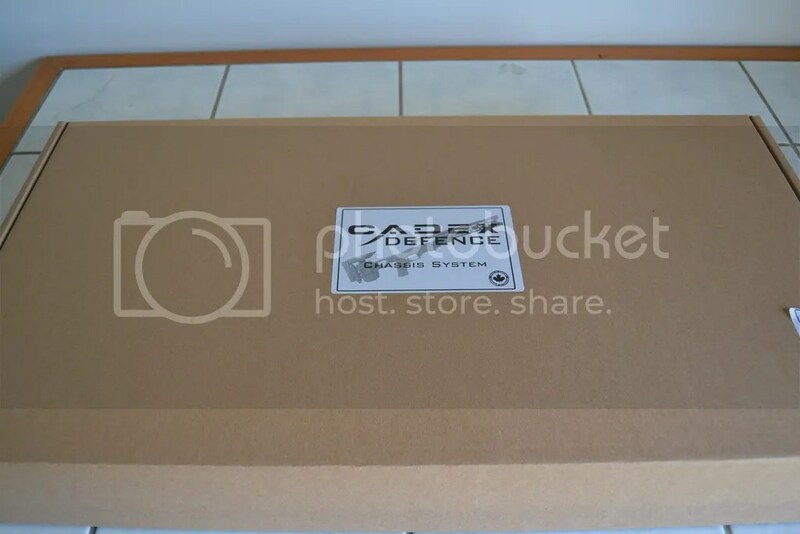 The Cadex shipping and packaging could not have been better and – especially when combined with the ease of ordering and excellent customer service – left me feeling very positive about the decision to buy something from Cadex. 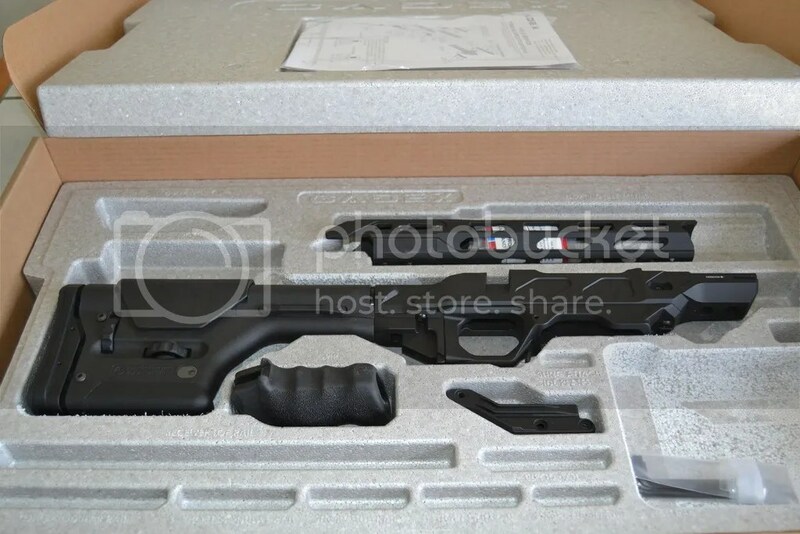 Readers may wish to note that at the time of ordering and throughout the process of getting the product to me, I made no mention of the fact that I was going to be writing a review or that I was the owner of a rifle blog so there is nothing to suggest that I was, in any way, getting preferential treatment. 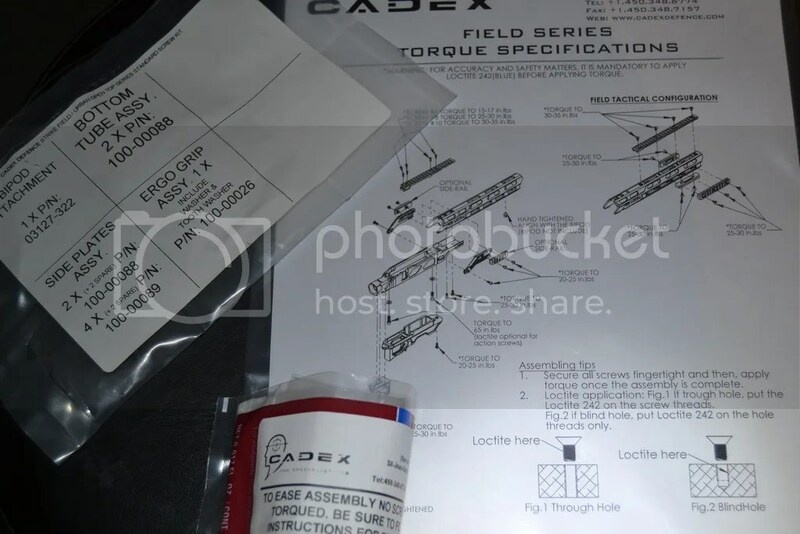 Product Presentation and Instructions – there is an old adage that ‘you only get one chance to make a first impression’ and quite clearly someone at Cadex cares about what a customer will think when he or she opens the box. This is how things should arrive when you spend a thousand dollars or more. The instructions provided are simple and clear and written in correct, easily understandable English. 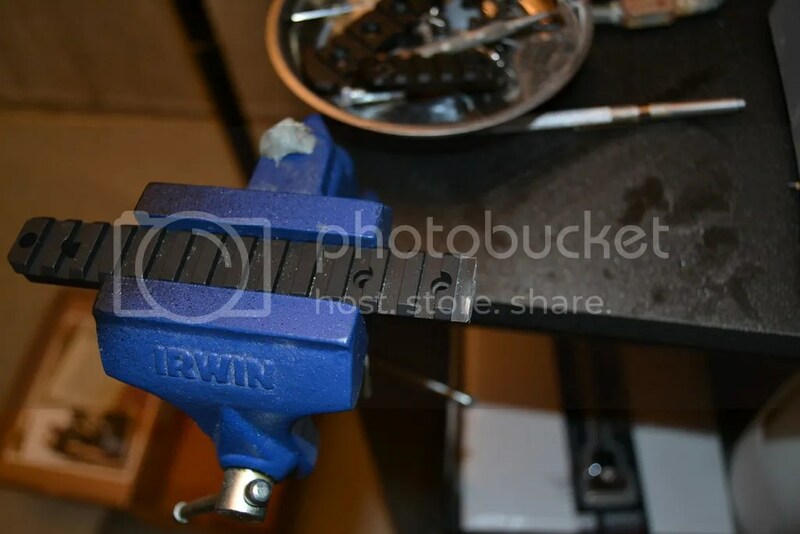 In addition to the actual chassis product, one gets a set of Allen keys, a small tube of Loctite thread locker and the various screws necessary to put it all together. Fit and Finish – I am notoriously very picky about such things and often find fault where others would give a pass. In the case of the Cadex Field OT I examined every piece looking for blemishes and evidence of less than perfect manufacture and could find nothing to complain about. Perfect. While staring stupidly around my workshop and wondering why all my rails had grown an extra inch or so – as, surely to goodness, no company would make a chassis that couldn’t work with standard length Picatinny rails – I recalled reading something online about this problem of a rail not fitting on a rifle housed in a Cadex Field OT but I figured the fellow writing about this issue must have had an exceptionally long rail or something but no, it appears to be the case that standard length Picatinny rails will not fit on the receiver of a short action Remington 700 that you intend to put in a Cadex Field OT. When standard equipment won’t fit on a product one buys it is annoying and it is something that could be easily be addressed. Were I to be asked, I’d suggest that Cadex put a note on their website to the effect that while other scope mounting solutions may work fine with a Field OT, standard length scope rails won’t fit and, secondly, I would suggest that Cadex make a slightly shorter Picatinny rail which they can include as an optional $50-100 extra with the kit. Voila -problem solved and, perhaps, more sales made. Lacking anything other than standard length rails I opted for the field-expedient solution of shortening my Talley rail with the judicious application of a Dremel tool and cutting wheel. 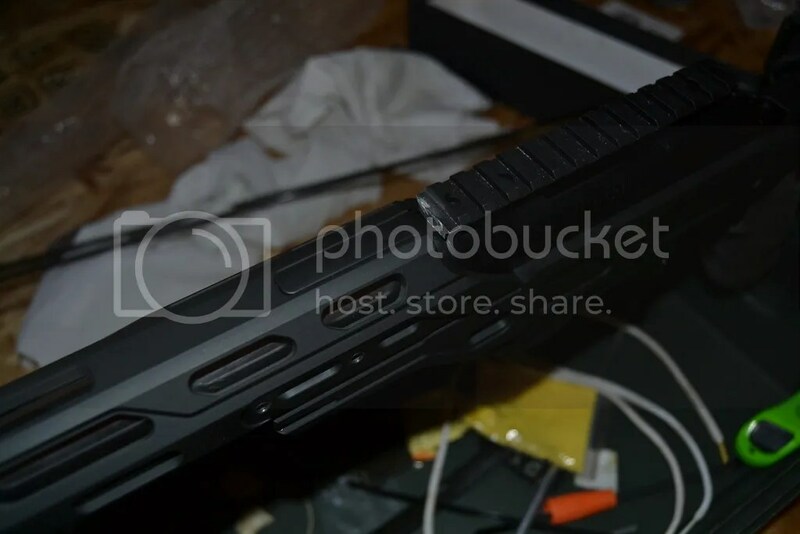 Ten minutes later and a quick spray of black paint and I had a quite serviceable rail that would fit on my receiver and allow the use of the chassis system – a simple piece of work to do but, like I say, I think there is a learning opportunity here for Cadex. Notable Features – Before leaving the assembly of the chassis entirely, there are two particular features about Cadex chassis stocks in general that I think warrant a mention. 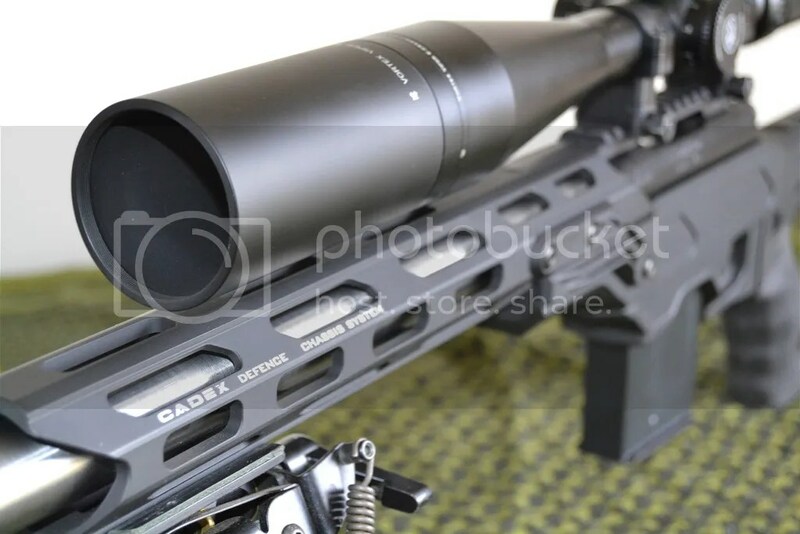 Firstly, Cadex uses something that they call Roller Bedding Technology which means that the rifle action sits on four rollers that are designed to provide a stable platform and reduce vibration – now it sounds and looks like a good idea and I guess that time will tell whether or not this is a really useful feature or not. 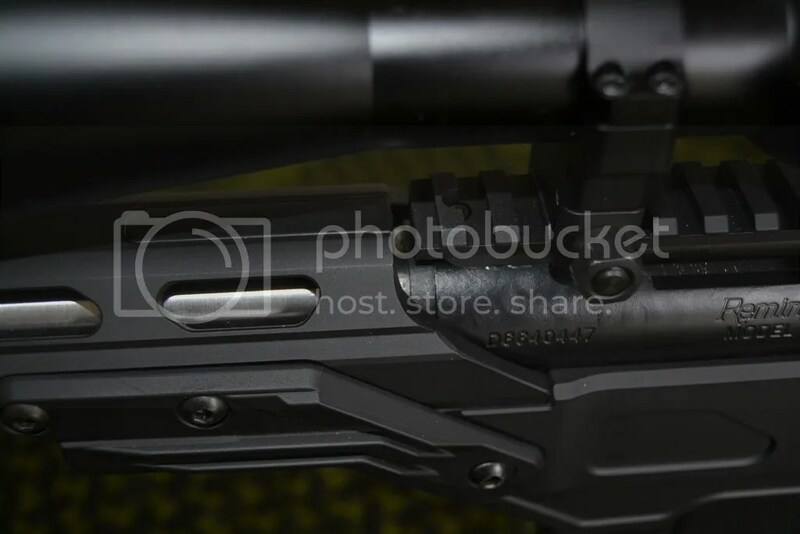 Secondly, users can remove the detachable base for trigger adjustment and maintenance without removing the rifle from the chassis – this is clearly a good idea ( though not so important with the particular model I bought ) and makes a lot of sense to me. Fully assembled the Cadex Field OT feels very, very solid and all the pieces fit together perfectly. Like all Cadex products this chassis accepts AICS magazines which are, in my view, the finest aftermarket mags available; magazine insertion is smooth and there is no rattle at all when inserted. 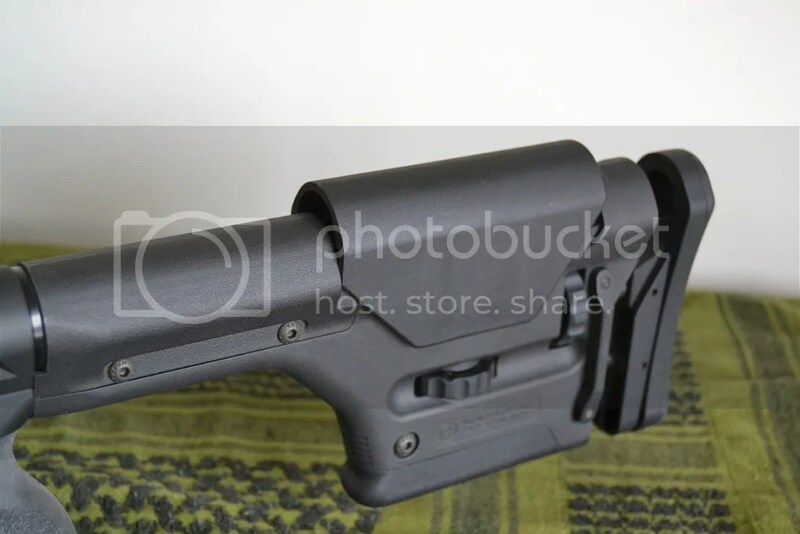 While it is possible to buy just the chassis core and attach a buttstock of choice, I like the Magpul PRS stock which is height and LOP adjustable and so I opted to buy the whole kit which includes that particular stock. Attachment of a scope was the last thing I needed to do and while I opted for a smaller, 50mm, objective this was, as anticipated, still a little bit too large to allow for the use of my TPS low rings so I used the TPS mediums I’d set aside in anticipation of the lows not working. 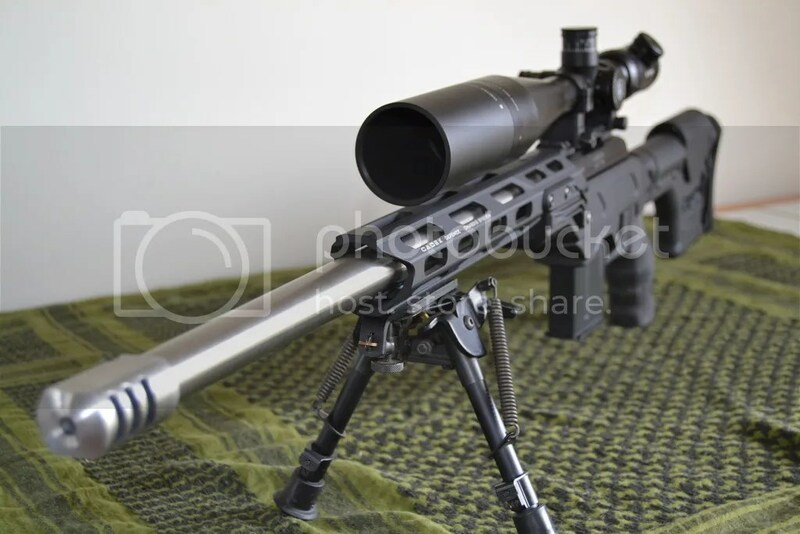 The scope I chose to place on this rifle was a Vortex PST 6-24×50 which, while not my favorite brand of scope, was an orphan looking for a ride and certainly isn’t a bad piece of glass to use on a rifle which is going to be only used for paper punching at known distance. Incidentally, the rifle used to place in this chassis is a known sub-MOA performer that was formerly housed in my MDT Tac 21. 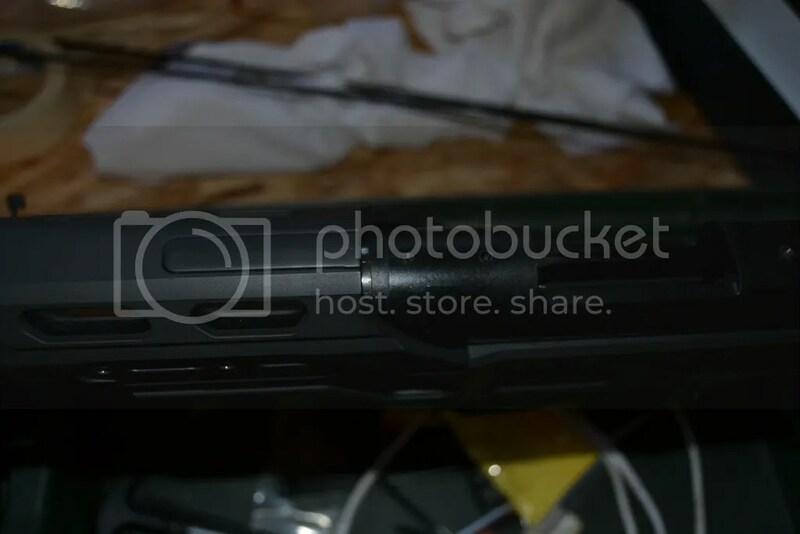 It is chambered in .260 and is actually a Remington in name only as the barrel was replaced with a fat 20″ Krieger and the action was trued at that time the new barrel was spun on. 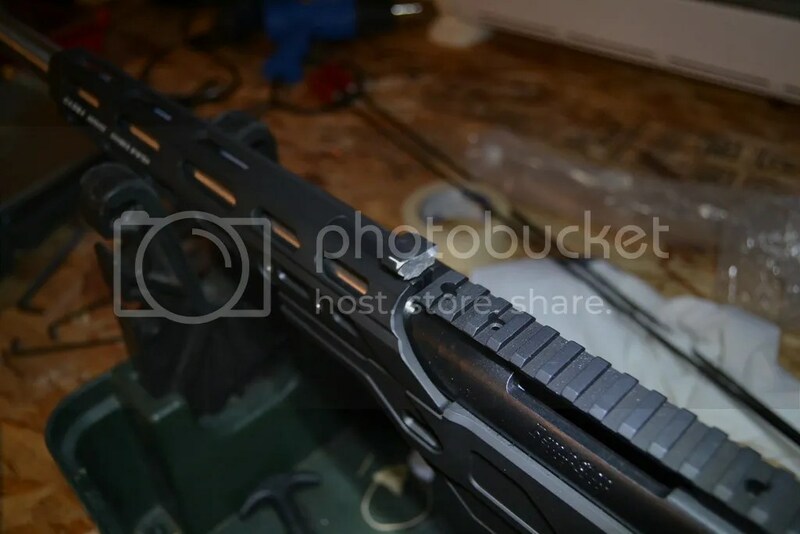 The XMP trigger went into the garbage and was replaced with a Timney 510 and – for purely cosmetic purposes – a nice, oversized, Badger Ordnance bolt handle was installed. For the shooting part of this review I made up some ammo using 139g Lapua Scenars over 43g of H4350 in Lapua cases ignited with a FGMM primer. Shooting – most shooting was done from the prone off a bipod ( Cadex thoughtfully includes a Harris bipod attachment ) and rear bag at various distances out to 400 yards with some rounds being shot from standing and kneeling positions to see how the chassis felt. I am very used to the Magpul PRS so there was no surprise there and the rubberized Ergo grip while bigger than that which I use on other rifles was very comfortable. The chassis performed excellently and felt very comfortable and secure throughout the session. Nothing came loose or in any way felt unstable and when I shot from the offhand position the composite areas felt nice to the touch. Magazine changes were smooth and easy and I also appreciated the oversized trigger guard as it allowed me to wear gloves on a cold morning. Conclusion and Comparisons – this was my first experience with a Cadex chassis. Ordering, shipping and customer service was excellent and what I bought was perfect in fit and finish. My observation from the field test was that this is quite clearly a very well made product that not only looked the part but performed flawlessly. 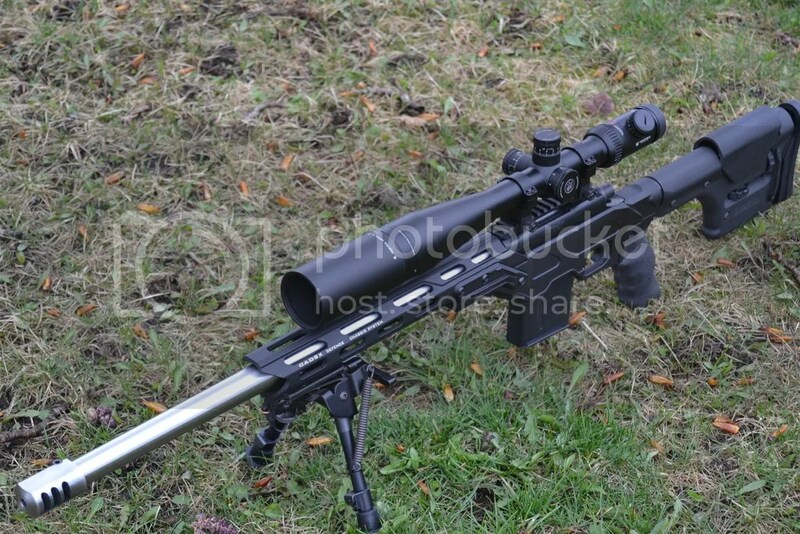 My only criticism is to do with a failure to let prospective customers know that this particular chassis will not work with the standard length scope rail – and as I pointed out above, that’s easy to address and fix. To ask how the Cadex compares to the other chassis systems I’ve used and owned is a valid question that I’ll try to answer. 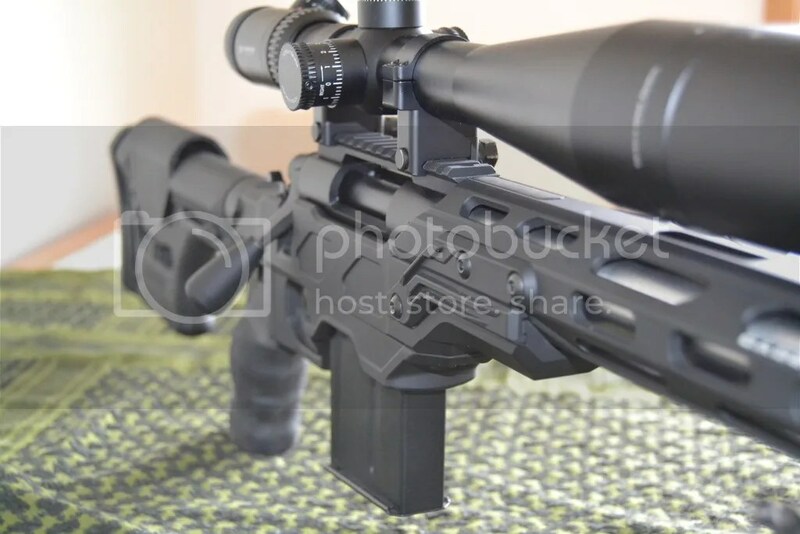 The AICS is so different that it really can’t be compared; the PGW chassis isn’t sold as a separate item and it isn’t fair to compare a SWS to a stand-alone and so, of the chassis systems I’ve reviewed and owned, it comes down to how does the Cadex model I bought compare to the Dolphin tactical and the MDT Tac 21. Of the two, this particular Cadex is most similar to the Dolphin – priced within a hundred dollars or so of each other they are both a open top design and both are faultless in construction and fit and finish. My preference of the two would be for the Cadex; it was easier to assemble, has a better buttstock and grip and an overall better feel. 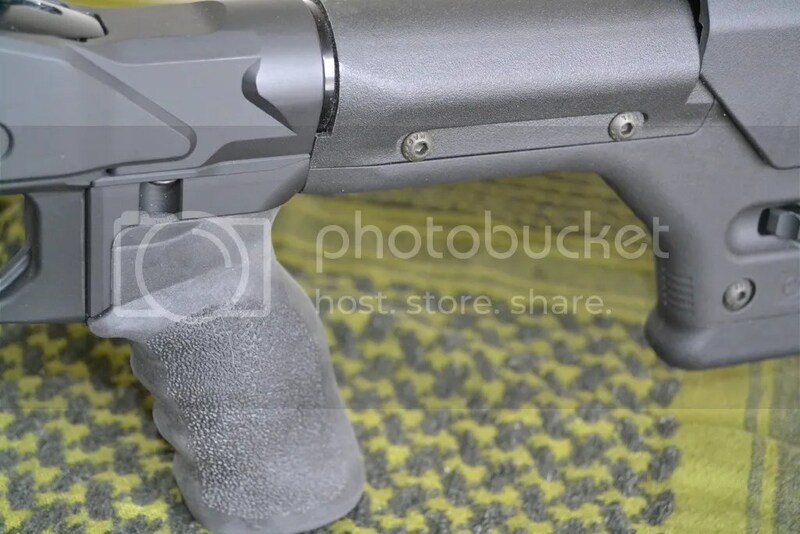 The Cadex barrel shroud reminded me of a DDM4V7 in looks and feel whereas I think the Dolphin to be more geared towards an F-Class audience. Comparing the Cadex to my MDT Tac 21 is a bit of a tougher one as they are quite different with one being an open top and the other a system that encases the action. 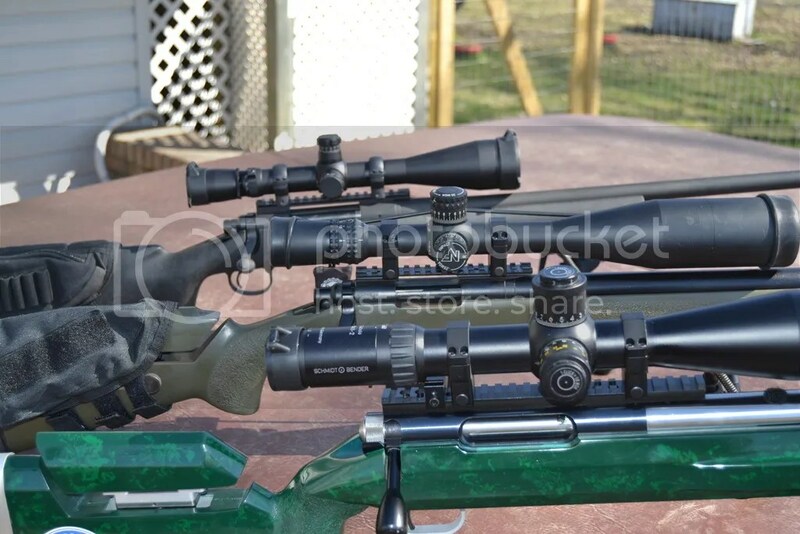 At day’s end, while I feel the Cadex suits my needs better at this time I have to say that both are very good products and – like I said earlier in this piece – I feel fortunate to have Canadian choices when it comes to outfitting my precision rifles.